At Tenn And Tenn, P.A., we know that motorcyclists deal with legal issues that are far different from a car driver. At face value, the case of Ryan Austin Collins seemed simple. When a speeding, orange and black motorcycle evaded pursuit, Virginia police officer David Rhodes managed to log the plate number of the bike. Later, an informant led Officer Rhodes to a residential house, where he found the motorcycle in question beneath a tarp. The incident that followed has merited the attention of the United States Supreme Court, to determine whether what transpired infringes on Collins’ Fourth Amendment rights. Upon lifting the tarp and running the motorcycle’s VIN number, Officer Rhodes was able to verify that it had been stolen in New York some time prior. When Collins arrived, he was arrested on charges of receiving stolen property. In court, Collins’ attorney argued that the evidence ought to be suppressed because of how it was obtained. 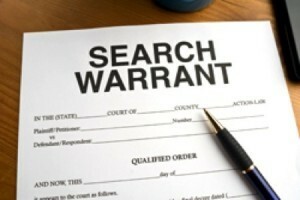 Although an officer is typically required to produce a warrant in order to perform a search, there is an exception for automobiles, which the state invoked in court. Collins countered by insisting this exception did not apply to a vehicle parked in a private driveway. Because it is being decided upon at the federal level, the outcome of this case would set a legal precedent. Not only will the ruling affect riders here in New Hampshire, motorcyclists across the entire country will be impacted as well. If the Supreme Court rules in Collins’ favor and moves to suppress the evidence acquired from the warrantless search of a motorcycle, and a similar case were to transpire in the state of New Hampshire, we would be able to cite the Collins case in order to protect a New Hampshire motorcyclist accused of a crime, in the event their motorcycle was unjustly searched. Our team of NH Criminal defense attorneys are dedicated to upholding the rights of all citizens, including motorcyclists accused of crimes. Backed by over two decades of experience, Tenn And Tenn, P.A. is ready to take on your case and tirelessly fight for your cause. Call 1-888-511-1010 today for a free consultation with a Manchester criminal defense Lawyer at Tenn And Tenn or contact us online.